Significant mitochondrial damage has been identified early in the course of Alzheimer’s disease (AD) and often predates the accumulation of amyloid-beta, the cellular waste product historically believed to be responsible for the premature death of brain cells. A growing body of evidence now points to progressive mitochondrial failure as the trigger and driving force of amyloid-beta accumulation, eventually leading to the premature loss of brain cells. Can Failing Brain Cells Be Rescued? For the past several years, K-PAX Pharmaceuticals has been developing a safe and effective mitochondrial intervention which we refer to as KPAX002. 1) Low dose methylphenidate (Ritalin)– Ritalin is a mild stimulant that is well known to increase dopamine and norepinephrine levels. Ritalin alone has previously been shown to produce a mild improvement in cognitive functioning in Alzheimer’s patients. -N-acetyl-cysteine acts to replenish depleted glutathione reserves, thereby initiating mitochondrial recovery. Treatment with NAC has produced significantly increased survival rates in human nerve cell cultures exposed to rotenone, a potent MT toxin. - Acetyl-L-carnitine facilitates the transport of fatty acids across the inner mitochondrial membrane shifting mitochondrial metabolism toward a more energy efficient fuel source (i.e. fatty acids). 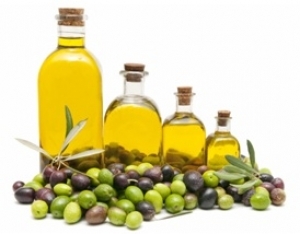 - Alpha lipoic acid (ALA) is an antioxidant molecule that has demonstrated anti-inflammatory and neuroprotective effects in Alzheimer’s disease models. - Coenzyme Q-10 (CoQ-10) is an electron carrier molecule embedded in the inner mitochondrial membrane that stabilizes respiratory chain components and acts as a mitochondrial antioxidant. Supplementation of CoQ-10 improves mitochondrial function and age-associated cognitive decline linked to neurodegeneration. Supplementing a combination of the above antioxidants at therapeutic dosages can exert a significant positive effect on stabilizing mitochondrial health and function. “Steve is a 74 year old male who was diagnosed with Alzheimer’s disease (AD) two years ago. Prior to beginning KPAX002, he was still functional but his driver’s license had to be taken away since he kept getting lost. He couldn’t remember his birthdate and he didn't know the day of the week. Otherwise, he was able to carry on a relatively normal conversation. Steve’s initial cognitive score was 12 (normal: 28-30) which puts him in the ‘moderate dementia’ range. Three months after beginning to take KPAX002 he was more alert, taking fewer naps and his cognitive score increased by 30%. Five months after beginning KPAX002 his cognitive score had increased by 50% (to 19). He has had no side effects and continues to take the treatment. K-PAX Pharmaceuticals is currently seeking funding to perform a Phase 2 proof-of-concept trial of KPAX002 to improving cognitive functioning in Alzheimer’s disease. We have applied to several funding sources for grants and are awaiting their response. For more information about KPAX002, please call 1-800-381-7565. *The above statements have not been evaluated by the Food and Drug Administration. This information is designed for educational purposes only and is not intended to diagnose, treat, cure or prevent any disease. This information is not intended to be a substitute for informed medical advice. Please consult a doctor with any questions or concerns you might have regarding your health. 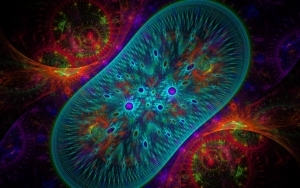 Mitochondria, the energy generators of our cells, are essential for life. When they are under attack - from a combination of stress, environmental toxins, and genetic mutations – our cells tear these power stations apart, strip out the damaged pieces and reassemble them into new mitochondria. Now, scientists at the Salk Institute in La Jolla, California, have uncovered an unexpected way in which cells trigger this critical response to threats, offering insight into disorders such as cancer, diabetes, genetic mitochondrial diseases and neurodegenerative disease including Alzheimer’s and Parkinson’s disease - which are linked to dysfunctional mitochondria. Researchers have known for years that mitochondria undergo fragmentation when treated with drugs that affect the mitochondria (including antibiotics, statins, and chemotherapy), but the biochemical details of how this mitochondrial damage is sensed and how it triggers the mitochondria to break up has not been clear until now. In this new work, the Salk team found that when cells are exposed to mitochondrial damage, a central cellular fuel gauge, the enzyme AMPK, sends an emergency alert to the mitochondria instructing them to break apart into tiny mitochondrial fragments so they can be recycled into new, healthy mitochondria. Interestingly, AMPK is known to be activated by the widely used diabetes drug metformin, as well as intense exercise and a restricted diet. The group then looked at a way to chemically turn on AMPK without sending attacks to mitochondria. To their surprise, they found that activating AMPK alone was enough to cause the mitochondria to fragment, even without damage. “I could not believe how black and white the results were. Just turning on AMPK by itself gives you as much fragmentation as a mitochondrial poison,” says Shaw. The team discovered why this was. When the cell’s power stations are disrupted, the amount of energy floating around a cell—ATP—is lowered. After just a few minutes, AMPK detects this reduction of energy in the cell and hurries to the mitochondria. Like a guard pulling a fire alarm, AMPK activates a receptor on the outside membrane of a mitochondrion to signal it to fragment and prepare for recycling. Mitochondrial dysfunction has been increasingly linked to Type 2 diabetes, cancer, and neurodegenerative diseases including Alzheimer’s, Parkinson’s, and ALS. Identifying ways to positively intervene and promote improved mitochondrial health holds enormous promise for the development of future therapies. Publication: AMP-activated protein kinase mediates mitochondrial fission in response to energy stress. Erin Quan Toyama et al. Science 2016.